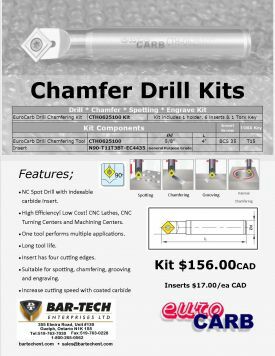 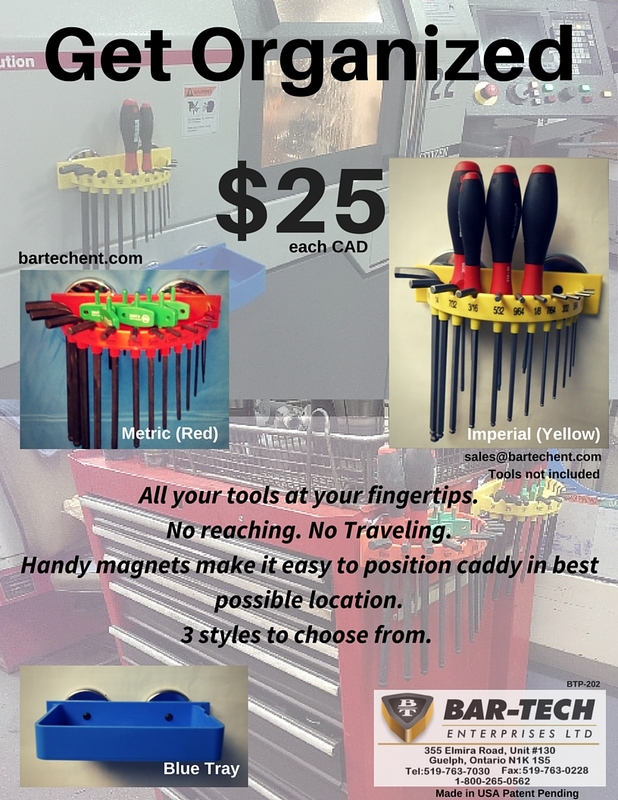 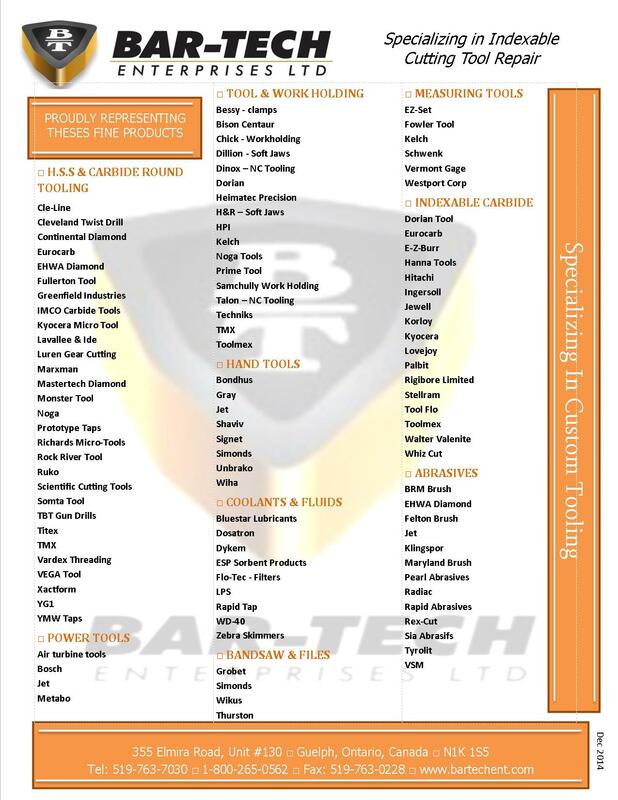 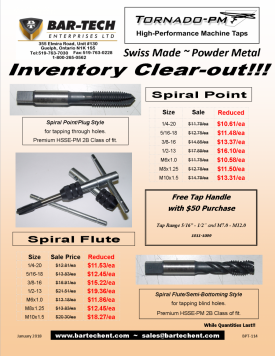 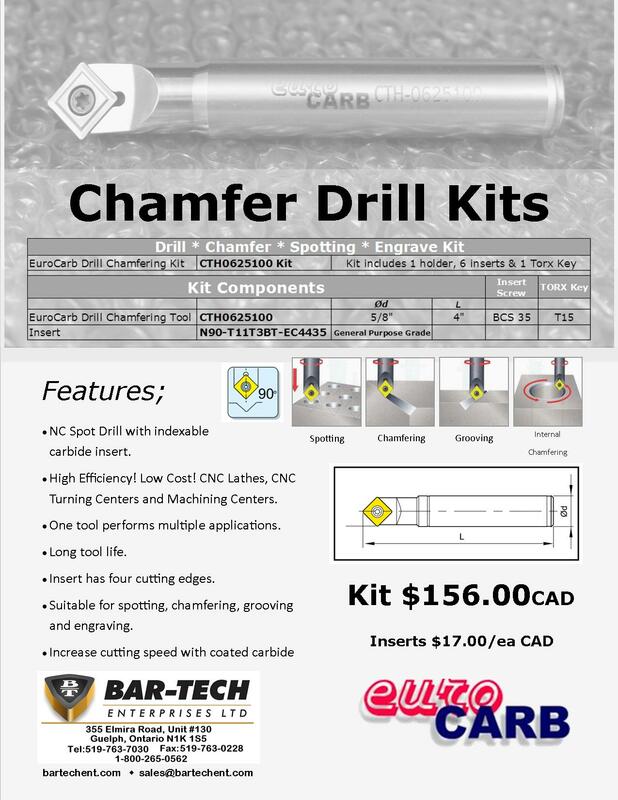 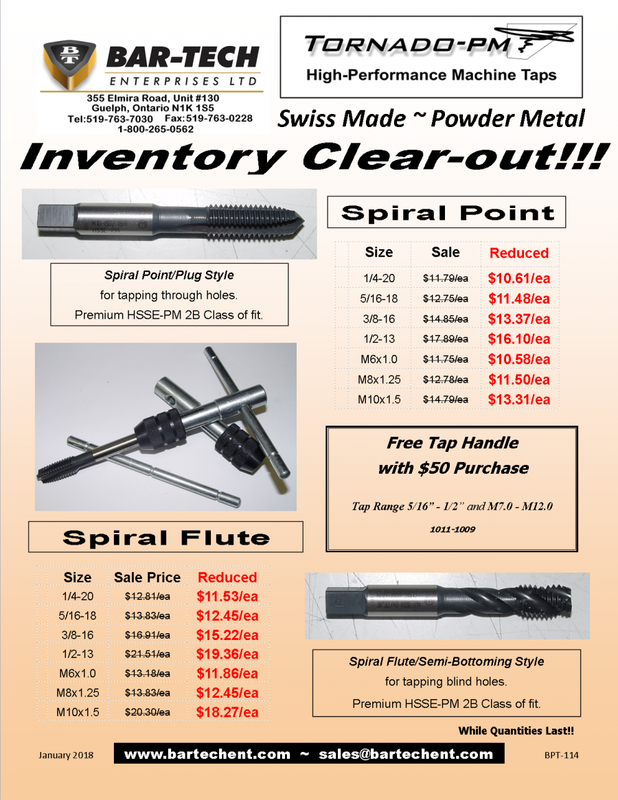 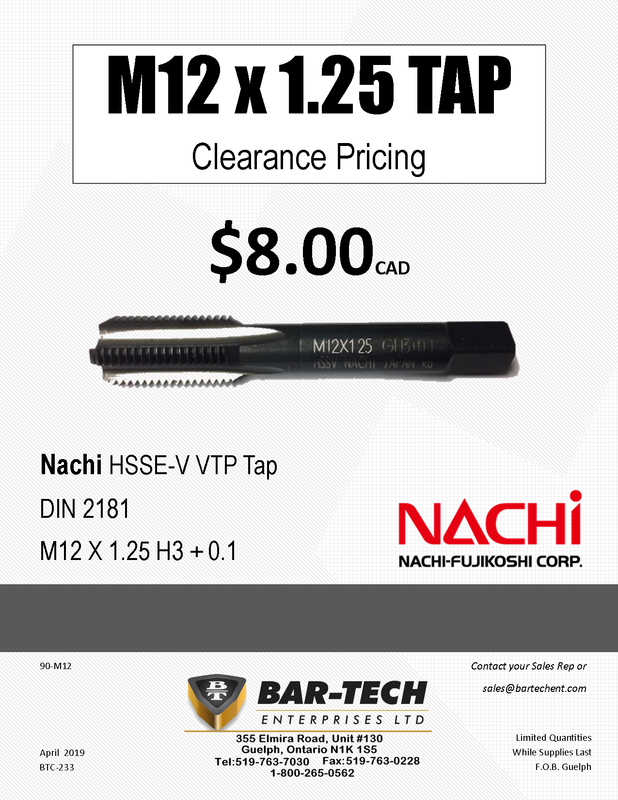 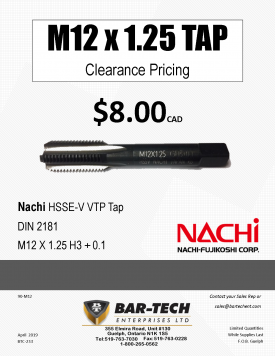 Based in Guelph, Ontario, Bar-Tech Enterprises Ltd. is your source for quality industrial tooling. 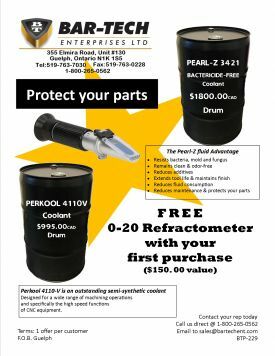 Servicing Southern Ontario for over twenty-years, our knowledge and experience has been highly valued by small and large machine shops alike. 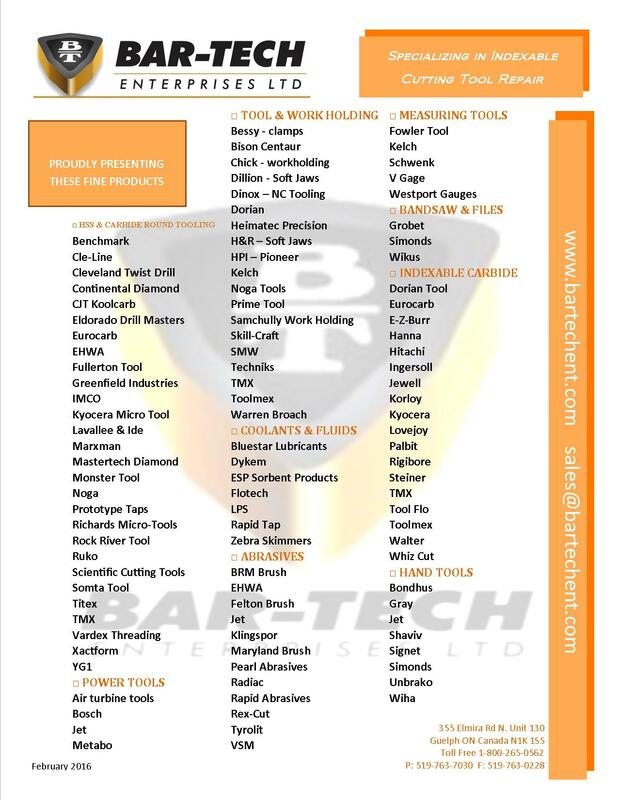 Through our diverse resource of suppliers we can offer you selection and economy for your tooling needs. 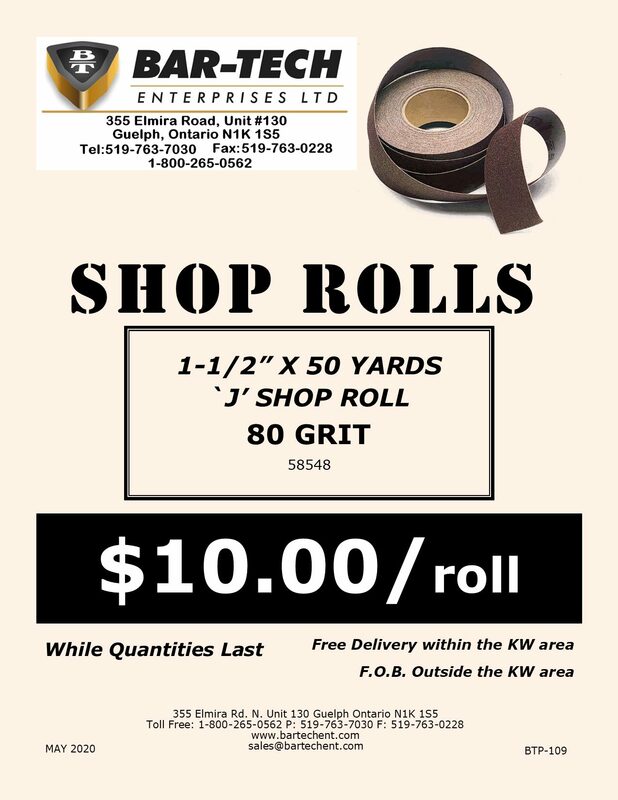 Add your name and Email address to our subscriber list to get notifications of sales, promos and events. Our hands-on machining experienced Sales Representatives will help you find the best solutions for all your applications.